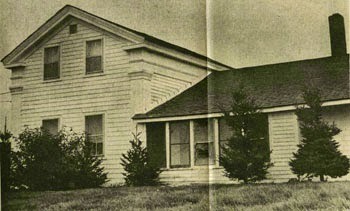 The two-story structure, thought to have been built prior to the Civil War, is perhaps Western New York's most infamous haunted house. It was the site almost 40 years ago of a highly unusual exorcism by a priest from St. Bonaventure University and has been the subject of a book, a Discovery Channel docudrama, and endless fascination by paranormal enthusiasts. The Misniks have never been afraid of the prospect of ghosts in their presence. "We made an agreement with them: You leave us alone, and we'll leave you alone," Joe said. Early on, Flo laid down the ground rules. "I went into the middle of the kitchen, and I said, "You can stay here if you want to, but I'm not leaving. 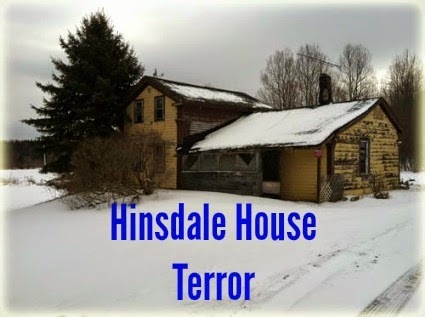 '‚"
With the house in desperate need of repairs and the Misniks both in their 80s, some paranormal enthusiasts are now trying to figure out how they might obtain the McMahon Road property and someday create a research center there. "There is no paranormal research center in the world that is built on an active site," said Michael Rambacher, a friend of the Misniks' who bills himself as a medium and paranormal investigator. "We'd be able to do the science, we'd be able to do the geology, we'd be able to do the archaeology." In the meantime, the house is simply home to the Misniks. Flo and Joe, as they call themselves, have lived here since 1986. They say they have experienced spirits or supernatural phenomenon, the kinds of unexplained events that forced previous residents to leave. But those encounters never scared them. What bothers them are the unexpected visitors who drive up the gravel road at all hours of the day and night for a glimpse of the home. "Neither one of us feels threatened," Joe said of the ghosts. "Some of the weirdos who come around here threaten me more than the ghosts." "It's mostly human beings that's the problem," added his wife of 28 years, a retired bus driver. "We call 'em rubberneckers." Flo and Joe had no inkling about the home's colorful history when they moved from Hinman Avenue in Buffalo to the clapboard bouse set in the lush hills of this small town outside Olean. They fell in love with the house and its eight acres of forested property, which includes a pond full of squawking geese. "It's peaceful, serene, quiet," said Flo. There was no evidence of any haunting on a recent afternoon when a Buffalo News reporter visited with the Misniks. Hummingbirds danced at a pair of feeders under a portico, bees swarmed a hive tucked in a second-floor cornice, and a barn cat snoozed on an outdoor swing. Inside, the walls of the living room are filled with framed photographs of children and grandchildren. Joseph Nickell, who has investigated hundreds of alleged haunted houses all over the world, doubts that Misniks' home is any different from the others: None of them has exhibited true evidence of being haunted. "I like to say I've been in more haunted places than Casper," said Nickell, who investigates claims of the paranormal and supernatural for Skeptical Inquirer magazine, which is based in Amherst. "There's no scientific evidence whatsoever that ghosts exist. It is all just superstition. "When brain function ceases, it stops surely. It doesn't go to a mystical realm." Nonetheless, soon after they settled into the house, Joe Misnik went to register at the local American Legion Post, and upon giving his new address was informed that he lived in a haunted house. The house first became notorious in the 1970s, when Clara and Phil Dandy and their four children lived there. The Dandys allegedly experienced several bizarre episodes — mysterious burns on their bodies, bricks from a crawl space chimney dismantled and placed in the middle of the room, strange chants heard in the nearby woods, and sightings of "energy orbs" — that led them to call upon the Rev. Alphonsus Trabold to try to "de-haunt" the house. The Dandys ultimately left in 1975, and the mother, who is now Clara Miller, wrote a book "Echoes of a Haunting," explaining her experiences in the house. Families that resided there after the Dandys didn't stay long, either, said Rambacher, who lives in Olean. That is, until Flo and Joe. The couple say they don't have the wherewithal to fix up the house, which needs a new roof, windows and siding. But they have no interest in leaving, either. "When we came here, we said the next place we go is in the coffin," said Joe. Flo maintains that she has seen at least one ghost in the house: a man in blue jeans and a plaid shirt with a rifle standing at the end of her bed. She asked the man what he was doing there, and he responded that he didn't know, she said. When she turned around and looked back, she added, he was gone. On numerous occasions, the Misniks said they have heard a "phantom" car in the driveway. They said they heard the sound of a car motor but looked and saw nothing. Sometimes, the smell of cigar smoke wafted through the house, even though neither of them smokes. The encounters are few and far between compared with what the Dandys experienced — in large part because the Misniks are elderly, and thus emit less energy to disturb the spirits, Rambacher said. Rambacher, who conducts ghost tours of the property with the Misniks' permission, is hoping to raise money to pay off their mortgage. "We won't live long enough to pay it off," Joe said, estimating that they have seven more years of payments on their land contract. If the mortgage gets paid, the Misniks could then donate the house and land for paranormal research, with assurances that they wouldn't be removed from the property. Rambacher has reached out to the Alex Tanous Foundation in Portland, Maine, and to Timothy Barth, a graduate of St. Bonaventure who teaches a course on parapsychology at Texas Christian University similar to the one taught by Trabold at St. Bonaventure. Tanous, a psychic, visited the house with Trabold in 1974. Both men are now deceased. Barth and a representative from the Tanous Foundation said they were supportive of Rambacher's efforts but weren't sure how much financial backing they could provide. "If stuff is really ongoing up there, it could be a real opportunity for someone," said Barth, a professor of psychology at TCU. "These things don't happen on a schedule. In order to document them, you need something set up 24/7 for an extended period of time." Despite all the rubbernecking, the Misniks insist there's no place they would rather be. And they would love to be able to fix the place up a bit … so it stays around long after they're gone. "There's a lot of history in this house," said Flo. "It would be a shame for it to just disappear." As of August 2014, the house is still for sale. In the 1970's a new family moved into what they believed to be the perfect home. Immediately the strange happenings began. Mr. and Mrs. Robert Fletcher and their four children moved into this 100 year old house that at one time had been a roadside inn. In the home there was a supernatural terror that had the family scared for their lives. They turned to exorcism and Fr. Alphonsus Trabold for help. He believed that the Fletcher home was possessed by a supernatural entity. Mrs. Fletcher and the children first noticed a mysterious chanting sound when hiking in the hills near their home, which disappeared 3 weeks later. The phone would ring with no one on the other line, the family heard pounding noises, and money and other things would be displaced or completely disappear. Lights went on and off by themselves, the kitchen stove would turn on and off while cooking dinner, windows opened mysteriously and water faucets would turn on and off by themselves. One of the children heard dragging noises in the attic, only to have Mr. Fletcher check it out and find the chimney dismantled. The family also witnessed things moving by themselves. The Fletchers, along with their friends, also began seeing apparitions, mostly of women dressed in long gowns, both inside and outside the house. Once the family saw several faces looking at them through the window, and when they went outside to check it out, the same faces were looking back at them from inside while the lights flickered on and off. They also witnessed other apparitions of strange animal-like creatures that were not of a known species. According to Fr. Alphonsus, apparitions can be caused by hallucinations or by a psychic force. "If the person is of a stable mind and the apparition is witnessed by others, you can eliminate the possibility of hallucinations," he said. As the strange happenings progressed, the apparitions began leaving physical evidence behind. There would be indentations on chairs and beds when no one had sat on them, and the animal-like apparition jumped into the daughter's lap. Two family friends caught an apparition, that was in the process of disappearing, walking outside the house on film. Fr. Trabold and other priests thought it looked like the figure of a tormented American Indian. After that, the haunting grew violent and the family began fearing for their lives. There was a large family photograph hanging in a room, and once the family found a letter opener suspended over the picture, pointing at one of the girls. It fell to the ground as the family tried to approach it. Another time, a lamp flew across the room at another one of the girls. The Fletchers cleaned up the glass and locked the door to the room, and when they returned sometime later, they found the ace of spades lying in the middle of the floor. Two of the children woke up one morning with strange burn marks all over their bodies. A few days later, the grandmother heard the Fletchers' son Randy's car in the driveway. She looked out the window and saw Randy and a blonde haired woman drive up to the house and then drive away. Later on that day, the grandmother found out that Randy's car had been in the garage all day and was not in operable condition. A couple days after that, Randy was involved in a near fatal car accident when apparently his car went out of control and hit a tree. While he was semi-conscious in the hospital, he kept asking about the blonde woman, but she was never found. However, there was evidence of a passenger because the dashboard contained the indentation of a human head. A mechanic could not explain the nature of the car's malfunction. Randy has complete amnesia about the accident. I wonder what happened to the house. It's still there. Our paranormal team investigates it often.